This super soft Hot Pink v-neck will soon become a favourite wardrobe staple. Please note: there is also a dragon mod logo on the lower back left of this tshirt. 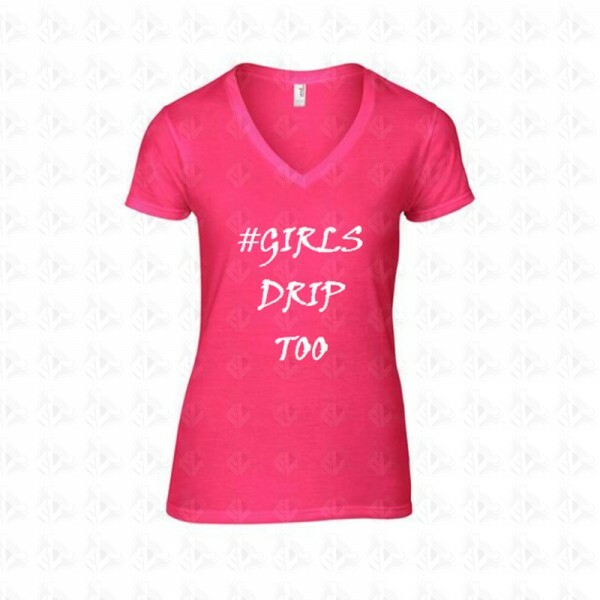 #Girls Drip Too Made from 7.6 oz. 100% combed and ring-spun cotton. Missy contoured silhoutte with side seam provides a flattering fitted shape. Featuring: neck taping, single needle neck, double needle sleeve and bottom hem.